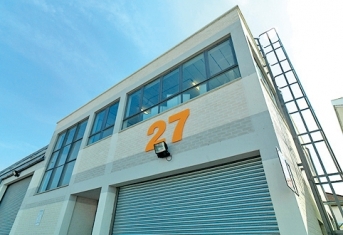 Slough Business Park offers you the space to develop your business ideas. These excellent value industrial and warehouse units are all finished to semi-fitted standard, giving the potential to tailor to suit your individual needs. The development has a highly visible presence just off the A355 and is ideally located adjacent to Slough Estates, within a mile of junction 6 of the M4 and only a few minutes drive to the M25 and M40. The Park is also just 15 minutes drive from the home of the UK film industry at Pinewood. 427 sq ft to 15,741 sq ft.